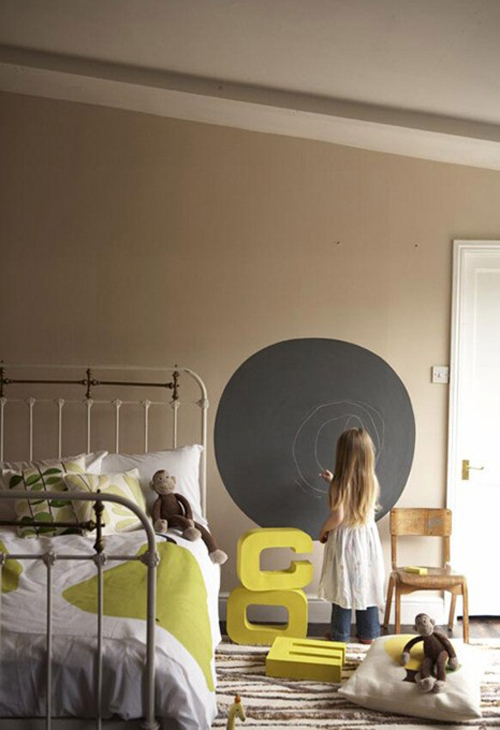 A circle painted with chalkboard paint on a kids room wall: very easy and so much fun! I LOVE everything about this room, especially the bed spread. I wish this was MY bedroom ! great idea!!!! this room is gorgeous!!!!! want to be a kid again…. This is so much easier, less messy and less permanent using vinyl instead of paint. Lots of ideas (and links to purchase) here. a magnificent idea! But what are you going to do when your kid does not keep its creativity on this part of the wall – LOL? The rest would be so seducing…. This IS a great idea. Love the idea of shaping the area – have to get over my concern of it leaving a “shadow” if you ever have to paint over. Also LOVED your photos of the baguettes in the truck. Maybe I borrow it for a post in the next month or so? I will give you credit and link to both this and your flickr site. Let me know? Thank you so much for this post; it is really helpful…Do you have any newsletter because I want to have a copy of those if there are any…Thank you! At present, many parents began to focus on the needs of children and are willing to put money into children furniture. However, do you know what the proper layout of kids’ room is? 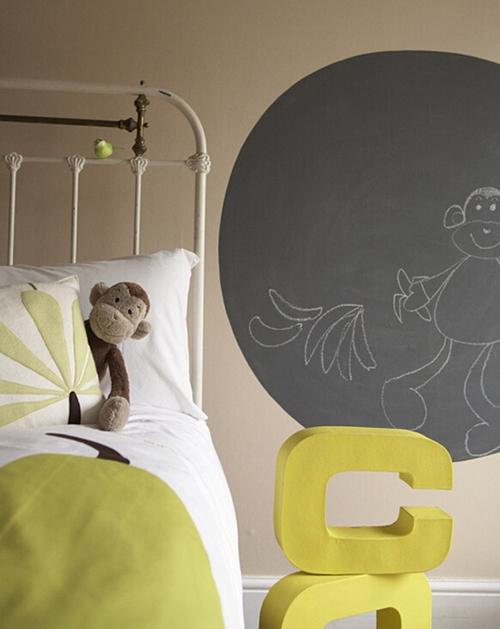 Great idea for a chalkboard paint in kids room! That was clever to paint it in a circle motif. It is something I haven’t seen before. Amazing room. I love them very much. Wish be back a child again. Your chalkboard idea is awesome it reminds me of my old days. thanks for sharing.